Only recently did we move from Ohio to Colorado. 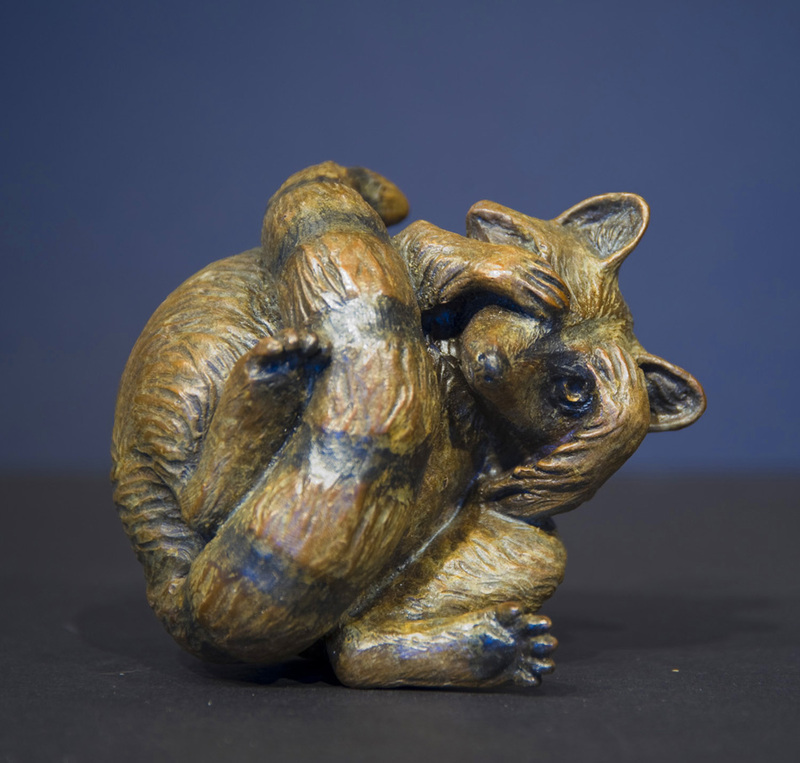 One of the greatest natural entertainers, scampering around our yard, were the clever and always lovable raccoons. I just had to immortalize them in the sculptures. As is most my art, the animal wrappers are interactive. So I am not surprised that my patrons are continually providing new suggestions for future wrappers. There are two or three that are in the very near future that I feel will be absolutely dynamite, so please check back.